PSB is synonymous with serious high definition technology in the world of music. Detail and dynamic expressions come together in each of their products to bring the listener a world of deep and intricate music, with each note and tone getting the attention they deserve. Keeping in line with its tradition, PSB brings the PSB M4U 2 Active Noise Cancelling Headphones with advanced technology that offers the listeners a trimodal operation system with built in amplifiers as also passive noise cancelling, making them one of the best noise cancelling in the market. Not for the flashy crowd, these headphones come in a sleek over the ear design that boasts of a stylish finish and a moderate weight. A pair that is meant for the sound-hounds, these over the ear headphones are one of the best high range headphones in the market. Foldable design that packs away neatly in the travel case provided. Dual input connections on either side of the headphone that gives ease of use without the hassle of criss-crossing wire. PSB’s exclusive Room Feel TM technology gives a rich music experience similar to high end loud speakers. Inline remote/microphone for hands-free use with iPod, iPad, iPhones. Trimodal operation allows: Active listening mode, Active listening with noise cancellation mode, and Passive listening mode. Active listening uses an inbuilt amplifier to boost the audio and provide a richer music experience. Passive noise control allows for minimization of external sounds even when the batteries are dead. 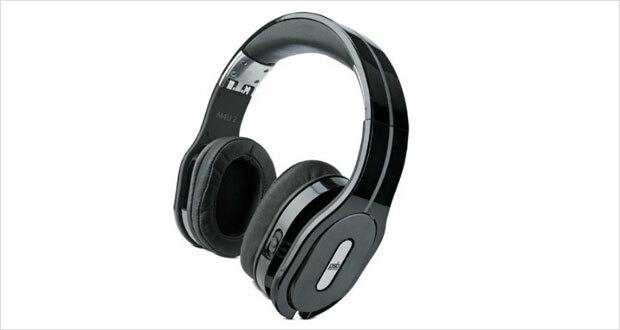 PSB M4U 2 Active Noise Cancelling Headphones featuring Room Feel. A hard carrier case for the folded down headphones. A pair of replaceable ear cups. The PSB M4U 2 Active Noise Cancelling Headphones definitely look their worth. The stylish, uptown design features a circum-aural engineering matched with a chic sense of fashion. The proverbial loose thread is completely absent from the device that comes with sleek exterior metal finishing and luxurious padded interiors. A dual input connectivity and battery compartments neatly tugged away into the ear cup sockets allows for mess free and convenient usage. Dimensions7.9 x 2.9 x 7.9"
Build is rather fragile with a lot of flimsy plastic components. The plastic mount points make the headphones susceptible to damage. The battery compartment is not well engineered and is prone to falling open from time to time. 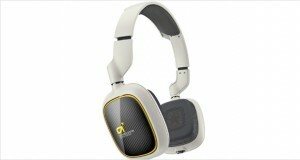 The headphones are bulky and not exactly feather light. The ear cups fit in quietly tightly around the head (perhaps just right for people with heads on the smaller side). The grip proves uncomfortable to wear after two to three hours of usage, something you would not want your 300+ headphones to be like. The build is hulking, so you will not be lying down comfortably with them on. The highs are pristine without being too sibilant. The mids are well pronounced and roll smoothly. The bass is well controlled and vibrant without meddling with the mids. 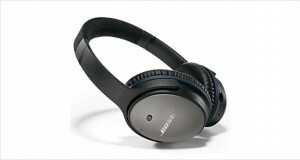 The headphones come with active as well as passive noise cancelling the latter comes handy if you end up mid flight with dead batteries and no spares to use. Music is crisp and clean with all the three modes. 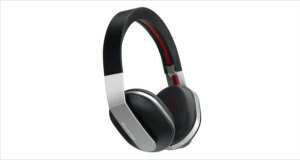 The active noise cancellation provided is muddies the high and mids a little, and makes the lows slightly less smooth, but there is no question that this is one of the best in the business. Even the passive noise cancellation provided by the snug fitting ear cups works fairly well in drowning out ambient noises for a decent music experience. Amazing details on the music with crisp and clean notes. The amplification works wonderfully to give life to otherwise music that might have been otherwise dull to begin with. The three modes of hearing operate wonderfully under different working conditions. The price is a pinch. Even though the headphones fold, they still remain bulky. The battery compartment is prone to opening up on its own. Grip is very tight, almost on the verge of being uncomfortable. The PSB M4U 2 active noise cancelling Headphones provide a superlative sound experience that is bound to make even the most insipid listeners into enthusiastic audiophiles. The music comes as close to reality as is possible, with excellent minimization of external noise. However, your fantasy will be short lived as the headphones are too tight to wear for more than two to three hours at a stretch. For a pair that costs about 400 dollars, you would want probably it to feel as buttery smooth in comfort as it does in sound. Based on this one factor, the headphones may be touted as moderately satisfactory high range headphones.